Trisha would love it. Have a great weekend. 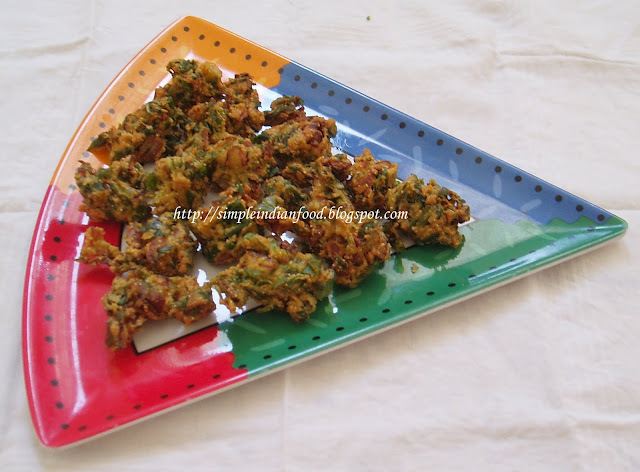 Methi pakodas seem so perfect for the winter evenings with garma garam chai! The cheesy angle sounds interesting....drool worthy! I have a bunch of methi at home. Now, I have a wonderful idea to put them to good use! Looks great! Interesting combination of methi and cheese. Pakodas looks yum.. what a perfect snack for this winter!